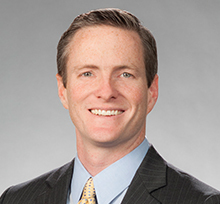 Dylan Kletter practices in the area of complex litigation. He represents entities and individuals across the country concerning a broad range of high stakes commercial litigation matters. Dylan has extensive experience in M&A litigation representing private equity firms, venture capital firms, family offices, activist investors, and strategic acquirers, as well as their portfolio companies, in matters concerning failed mergers and acquisitions, securities fraud, breach of contract, indemnification claims, reps and warranties insurance claims, earn-outs, working capital adjustments, escrow disputes, customer and supplier disputes, environmental issues, and responses to third party discovery. Dylan’s M&A litigation practice includes both plaintiff and defense side work, predominantly in the Delaware and New York courts, as well as other jurisdictions selected by the transactional parties. Dylan also represents white-collar clients in criminal proceedings and government investigations and has extensive appellate experience. Prior to joining Brown Rudnick, Dylan served as a judicial clerk for Connecticut Supreme Court Justices Barry R. Schaller and C. Ian McLachlan, as well as a law clerk for the Honorable Christine E. Keller. During law school, Dylan received awards in Criminal Law, Trial Advocacy and Appellate Advocacy. He also served on the Connecticut Law Review, the Moot Court Board, and the Mock Trial Society. Prior to attending law school, Dylan helped represent New York Times best-selling authors at International Creative Management (ICM) talent agency in New York. Representation of a private equity firm asserting post-closing breach of contract claims against an acquiror and its financial sponsor arising out of the sale of a technology-based portfolio company, resulting in a favorable settlement achieved during a two-week trial. Representation of a private equity firm asserting post-closing fraud and indemnification claims against strategic manufacturer, resulting in a favorable confidential settlement. Representation of a consortium of private equity sponsors in a fraud and breach of contract action against the seller of an automotive supply company, resulting in a favorable judgment after trial. Representation of a seller of a technology-based company in a dispute concerning fraud allegations and the payment of sums due under a promissory note and working capital adjustment, resulting in a favorable confidential settlement. Representation of a private equity firm and its portfolio company and management team against breach of contract and tortious interference claims brought by a strategic acquiror following the divestiture of substantially all of the portfolio company’s assets, resulting in a favorable judgment after a three week trial. Representation of strategic acquiror in a pre-closing dispute regarding whether the seller had satisfied its contractual conditions to close, leading to more favorable deal terms. Representation of private equity firm asserting post-closing indemnification claims against the former financial sponsor of an automotive portfolio company, resulting in a favorable confidential settlement prior to the onset of formal litigation. Representation of a private equity firm and its executives and portfolio company management team against fraud and breach of contract claims brought by a financial purchaser arising out of the sale of a distribution-based portfolio company, resulting in very a favorable confidential settlement on the eve of a four-week trial. Representation of a portfolio company controlled by an activist investor concerning breach of contract claims against a major vendor, including the successful preclusion of the adversary’s damages expert and a favorable judgment after trial. Representation of a private equity firm concerning a post-closing dispute over the recovery of certain governmental refunds due to an oil & gas company, resulting in a favorable settlement. Representation of a private equity firm against an employee class-action brought by the former employees of a portfolio company’s subsidiary. Representation of a private equity firm’s portfolio company against an eight-figure claim brought by a former customer of the portco, resulting in a favorable settlement. Representation of a private equity firm in a breach of contract and declaratory judgment action against a strategic buyer to recover an indemnification escrow, including obtaining the successful dismissal of fraud-based counterclaims. Representation of neutral arbitrator in a dispute concerning the determination of post-closing working capital adjustments arising out of the nine-figure sale of a food industry business. Representation of a portfolio company executive in an action alleging breach of contract and fraud arising out of the failed merger of two industrial competitors, including obtaining the successful dismissal of multiple claims. Representation of a private equity firm concerning claims for fraud and breach of contract arising out of its acquisition of a portfolio company in the transportation industry. Representation of a private hospital in connection with a contract dispute against a private equity-sponsored portfolio company arising out of a failed joint venture, resulting in a favorable settlement prior to the onset of formal litigation. Representation of court-appointed liquidators of Fairfield Sentry Limited, the largest feeder fund to Bernard L. Madoff Securities, in Chapter 15 proceedings. Representation of indenture trustee in Chapter 11 proceedings of the Tribune Company. Representation of private hospital in multi-million dollar wrongful death action, resulting in the successful dismissal of all claims at the motion to dismiss stage. Representation of quasi-governmental agency against breach of contract claims, resulting in a jury verdict in favor of our client. Representation of interstate natural gas line company against breach of contract claims, resulting in successful judgment after a multi-day bench trial. Pro bono representation of artist in bench trial resulting in a favorable judgment against defendant on bailment claim. Representation of former venture capital executive in multi-million dollar SEC securities fraud enforcement action. Representation of white collar defendant in embezzlement action arising out of failed business acquisition. Representation of companies and professional corporations in connection with state governmental investigations and audits. Representation of criminal defendants in habeas appeals in Connecticut appellate courts, including obtaining reversal of habeas court decision based on improper jury instruction. “Rare Win Shines Light on State Program,” Connecticut Law Tribune, October 7, 2013 (featuring attorney Kletter’s reversal of habeas court decision). “Appellate court grants immunity to nonprofit directors and officers,” Hartford Business Journal, Volume 21, Number 9, January 14, 2013. “Negligence in the (Thin) Air: Understanding the Legal Relationship Between Outfitters and Participants in High Risk Expeditions Through Analysis of the 1996 Mount Everest Tragedy,” University of Connecticut Law Review, 40 Conn. L. Rev. 769.